Each luxury car needs an convertible version. 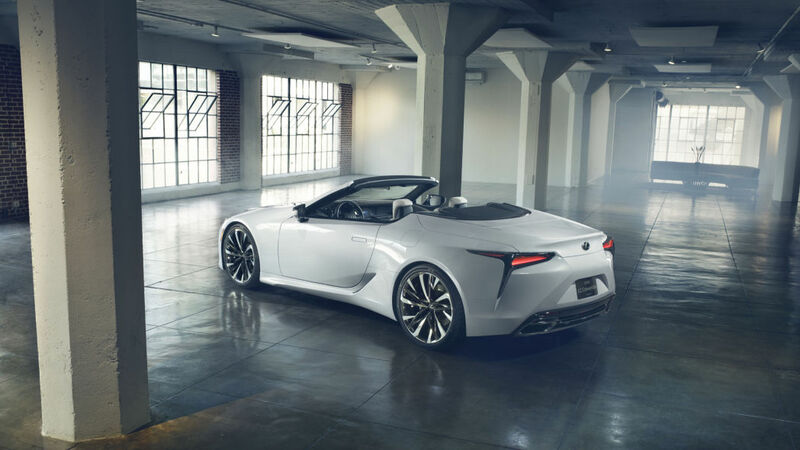 This has also been done by the Japanese manufacturer Lexus, attaching the LC model to a cabriolet,Telegraph reports. Three months ago, it was said that there would be such a car from this production line, but there was no confirmation, as the company was more concerned with the LC F Coupe. Although nothing has been confirmed, a week before the Detroit Auto Show starts, Lexus surprised with an unexpected presentation. Everything is at the stage of the concept, but even after getting the green light for production, there is not expected to be any major changes. Apart from the snapshots and the interior, there are no details to show what will be under the cap. These are expected to be taught soon, at the first fair for this year, which will gather many important producers.